Enjoy a total body cardio workout without trudging to the gym day after day with the Body Rider BRD2000 dual cardio trainer. The BRD2000 is actually two fitness machines in one, with a pair of elliptical arms and foot pedals for upright elliptical use, as well as an adjustable seat that turns the machine into an exercise bike. As a result, users can vary their workout routines depending on the goals they’re trying to achieve. The BRD2000 is built around a chain-driven fan wheel, with high-momentum fan blades that run quietly and smoothly without impacting your knees. (The fan also produces a gentle breeze as you exercise.) The electronic console, meanwhile, makes it easy to track your workout, with measurements for time, speed, distance, and calories burned. Finally, the unit’s seat adjusts vertically and horizontally to fit users of different heights and weights. Too busy to hit the gym on a regular basis? The BRD2000 will help you see results in only 20 minutes per day three or four times a week. Elliptical trainers represent the next wave of advancement in low-impact cardiovascular exercise machines and continue to grow in popularity. By simulating motions experienced through walking, stepping, cycling, and skiing, elliptical machines allow for a smooth and fluid motion while building strength in the arms and legs. Similar to the exercise position for treadmills, elliptical trainers are used by standing in an upright position while holding the handrails of the machine. With elliptical trainers, however, your feet remain in the foot pedals throughout the exercise regimen and circulate in a smooth and seamless motion, resulting in little to no impact on the knees, back, and hips. Elliptical trainers are compatible for all ages and fitness levels and allow you to select the difficulty level through the incline and intensity settings. Additionally, elliptical trainers allow you to determine the complexity of your workout based on your needs, all while listening to music, watching television, or reading a magazine while exercising in the comfort and safety of your own home. Although different types of elliptical trainers offer an assortment of features, many of them include an array of challenging programs, forward and reverse directional movement, EKG grip pulse handles, a lightweight portable design with easy fold-up capability, and a monitor displaying calories burned, distance, speed, time, and heart rate. Other types of exercise machines, namely treadmills and bikes, offer excellent cardiovascular exercise and muscular training for the legs in a forward-motion exercise. Elliptical trainers take this to the next level by offering an upper and lower body workout with dual motion, challenging and diverse programs, and a low-impact exercise machine that won’t strain sensitive joints. I have always been offering this only three movie stars centered on 2 things, First I have always been 6foot high so when I utilize it as an elliptical its a little tight and I do have a tendency to punch myself some when considering right back but I solved that by reversing them. Having a 2-in-1 cardiovascular gear for under $$$ is certainly much, which is the primary feature for the Body Rider BRD2000. With all the proportions and fat of 55” x 25” x 64” and 80lbs correspondingly, it really is having standard size, however the fat is considerably less than we expected. The Body Rider BRD2000 is theoretically called an elliptical trainer it is a lot more of a 2-in-1 home fitness equipment because it has a fixed bicycle function. 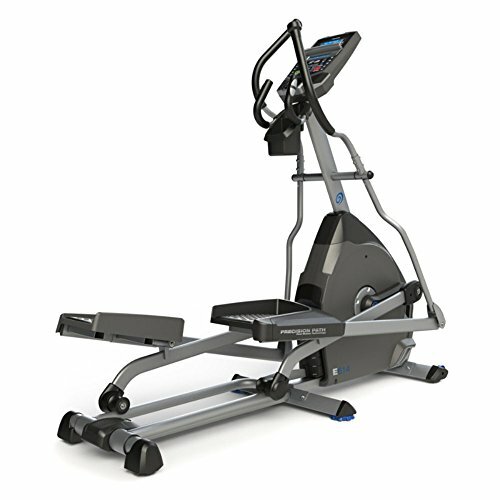 BRD2000 Features: -Patented design technology.-Use as an elliptical trainer or workout bike.-High energy fan blade.-Easily adjustable knob tension.-Dual action handle pubs for torso workout.-Computer display shows: time, rate, distance and calories burned.-High-momentum blades that produce a cooling breeze during use.-Seat adjusts vertically and horizontally to support all sizes.-Weight ability: 250 pounds. It shall specially assistance with reducing low body fat, in the event that you opt for the sitting place. 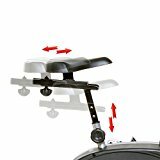 The entire component is extremely adjustable with chair slides ahead and right back effortlessly plus the chair may be additionally raised and lowered in the home elliptical. We desire other types of elliptical devices had been therefore comfortable and foot-friendly. They don't just assist in losing body weight via burning off calories, but additionally in getting fitter and improving your heartbeat. Furthermore, Fan Wheel opposition is normally used on lower-priced elliptical devices. It fits completely and certainly will make your experience and day-to-day usage with all the Body Rider much more good. 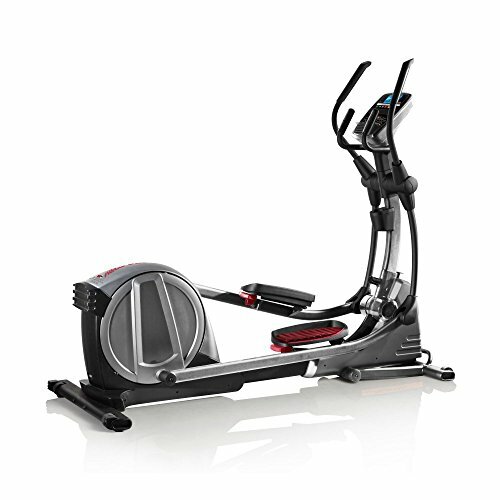 The Body Rider BRD2000 Elliptical is a hybrid elliptical trainer and fitness bike. Unlike operating, working out on an elliptical device doesn't recommend leaping and landing in your legs with all the fat of the body, which could cause some unneeded anxiety to your bones. That is a Body Rider BRD2000 Elliptical Trainer Review which will provide you with informative data on all you have to find out about the trainer. 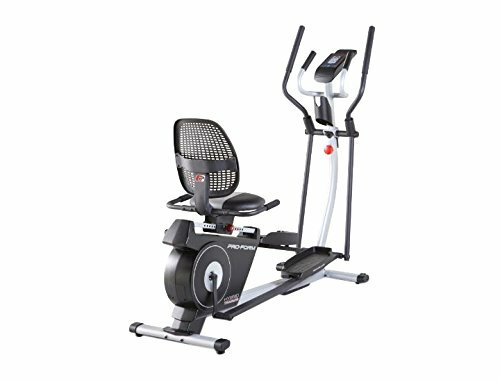 The Body Rider BRD2000 elliptical trainer is available in at a mid range cost, however with features that you'd just expect you'll find in more high priced devices. The Body Rider BRD2000 Elliptical Trainer with Seat has already been planning to be noticeable simply because few other elliptical trainers have actually seats to begin with. The computer monitor regarding the Body Rider BRD2000 is extremely fundamental in its functionality and does not have the capacity to determine your pulse, although a heart price monitoring unit is incredibly uncommon in this cost range and also the power to see feedback on distance, time, rate, and calories burned should suffice for many. You will get an extremely an easy task to adjust chair which will adjust vertically and horizontally to suit various human anatomy levels and kinds. By simulating motions experienced through hiking, stepping, biking, and skiing, elliptical devices enable a smooth and fluid movement also as building power into the legs and arms. And cost - It is low priced, you will get your self a good elliptical machine and do cardiovascular exercises with no hassle appropriate out of the package. You may want to record down specific things such as: height, fat and level of fitness. This might be a two-in-one trainer you can use as a normal elliptical trainer or as a workout bicycle. Enjoy an overall total human body cardiovascular exercise without trudging towards the gymnasium 7 days a week with all the Body Rider BRD2000 double cardiovascular trainer. This can provide you with complete body work out possibility including feet, hands, buttocks and abdominals. One-year warranty, though, seems a bit redundant as though like maker expects this elliptical device to decline after 12 months passes. It comes down with power-adjustable stride as well as the optimum stride length is going to be between 20” to 22”. Nevertheless, the sole issue using this technology is the fact that you will be charged you much more than Elliptical machines with Fan Wheel opposition. Although you do have a tendency to lose a whole lot by deciding on a mixture trainer for instance the BRD2000, you do gain something which's similarly essential. Much like any brand new bit of home fitness equipment, first thing you need to do whenever it arrives is obtain it setup and commence working towards your physical fitness or weight-loss goal. Last but not least, this Elliptical trainer shall offer you an incredible cardiovascular system and that, too your own house. If you are trying to find a complete body exercise regime with cardio exercising at yours rate, than ellipticals can be worth every cent. Treat the body appropriate and try an improved low-cost brand name such as for instance Horizon or ProForm. Its footpads move around in normal elliptical movement for low effect and couple of supply poles relocate combination with footpads for torso exercise. The model is fairly an easy task to transform from an elliptical device to a workout bicycle and is sold with a tension modification system. With elliptical trainers, but, the feet stay in the base pedals through the exercise program and circulate in a smooth and seamless movement, causing small to no affect the knees, right back, and sides. Self-esteem Fitness 2-in-1 elliptical training device is a good choice once the available spending plan is bound. The chair is adjustable, both horizontally and vertically, permitting users to find yourself in a cushty riding place, irrespective of their height. The elliptical device is popular at the gym due to the low effect cardiovascular which, seeks to safeguard bones. Although elliptical devices offer complete body work out to a specific level, their primary function is, needless to say, cardiovascular exercise. For an improved workout, you will need the stride lengths become between 18 and 20 ins. I dunno if it is poor people quality associated with the components through the business (Body driver) or whether it's a gimmick to ensure that you need to, have to, need to necessitate assistance and shell additional dollars from your pocket except if you determine to get back this product and feel the discomfort of unassembling it and placing every thing back the container. Because of the pubs and adjustable chair, the human body driver brd2000 elliptical trainer with chair is excellent, plus the chair can be comfortable distance through the pedals or the fixed handle. This best elliptical machine operates efficiently, simple to adjust hands with a comfy chair. 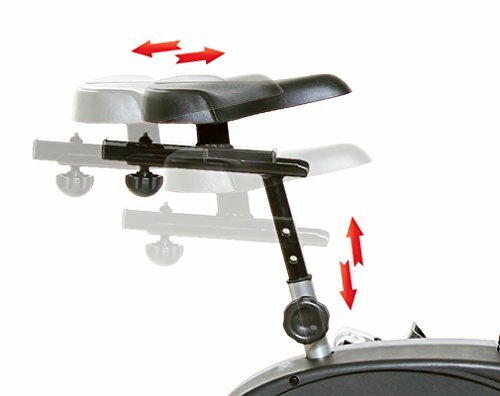 The chair associated with the Body Rider BRD2000 Elliptical Trainer with Seat just isn't specially comfortable. Hello Ladibug, The Body Rider Deluxe 2-in-1 Cardio Dual Trainer is a 2-in-1 physical fitness device with settings for elliptical trainer and fitness bike usage. Among the cheapest models that maintained quality available in the market, this double trainer is sold with high energy fans that produce a gentle breeze to cool you down while you work out. Usually elliptical trainers don't possess seats, and bicycle workout devices also have seats. This has bad ergonomics in elliptical trainer mode, and weighed against discount stationary bicycles it is prone to break up quickly. But you'll would also like to just take a go through at the least some of the a huge selection of reviews presently noted on Amazon, to make sure you have got a balanced viewpoint for the Body Rider BRD2000. 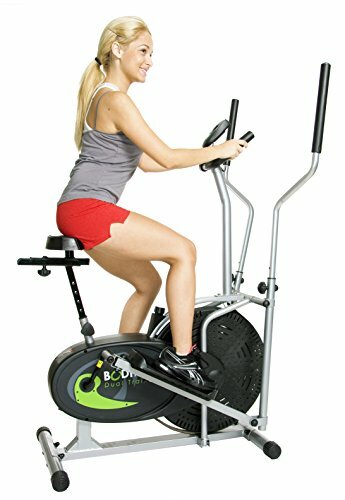 The most effective rated elliptical is great for all over human anatomy working, as well as your hands defintely won't be any difficulty in addition to it is possible to keep aided by the longer handlebars when going elliptical. The EXERPEUTIC 4000 Magnetic Elliptical Trainer can manage as much as a 270 lb. individual fat capability. Furthermore, nowadays you may also find Elliptical Machines with dual-directions flywheel. We actually liked the positioning and simpleness for the control interface associated with the elliptical trainer, which why don't we shift between workout modes in a couple of seconds. Additionally, as you will find 8 opposition amounts, it is possible to keep increasing the amount to challenge the human body and also make many away from your self. There are two main split trainer exercises, SMR adjustable opposition amounts, an easypulse heart price display and monitor, a sizable LCD display, an elegant finish, an electromagnetic braking system, and a lot more in addition to that. Body Rider BRD2000 Elliptical Trainer With Seat reviews usually consist of stride length. To help expand relieve your workout, additionally has going hands to make sure a successful chest muscles exercise. 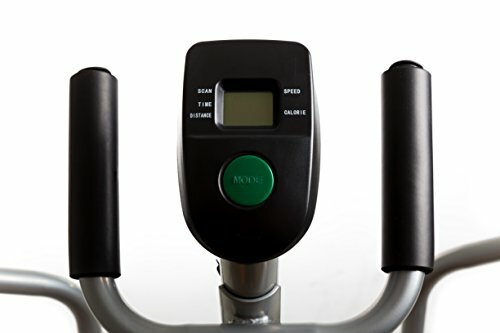 Along side these, Schwinn 430 Elliptical device is providing extra features like Media Tray, USB Connection and something higher level objective tracker. BRD2000 from Body Rider is a superb elliptical device for regular house users. The Aero Air Elliptical from Exerpeutic is a concise and affordable elliptical trainer that utilizes magnetic opposition for a challenging work out. Overall, the elliptical devices are an excellent, enjoyable, and safe solution to do a cardiovascular exercise right at your house with no need to attend the gymnasium, whilst getting exactly the same outcomes. Whenever put together, Schwinn 430 Elliptical device has measurements of 70.1” x 28.2” x 63.2”. The dimensions is normal for an elliptical but might need an increased roof. However with elliptical devices, there is no need to concern yourself with aggravating your wounds. Truly the only drawback of utilizing an elliptical is you could lose the powerful element while exercising. 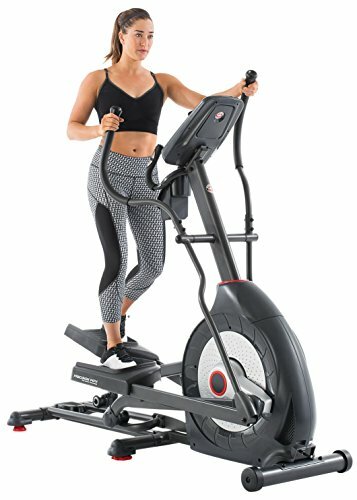 At under $600, the Nautilus has most of the features of an even more costly elliptical, and you should additionally be saving over $400 away from retail , for a 20 inches stride, 22 system, 20 degree of opposition, 2 individual amazing trainer providing you with literally all you need in a fantastic, area preserving package. Clients can certainly utilize a knob to be able to adjust the stress for the Body Rider BRD2000 Elliptical Trainer with Seat. Must be at least 18 & over to purchase. Item can be shipped only within the U.S.